Added Shenmue 3 and western version of Yakuza 0. In Japan was published by SEGA, in America was published by Atlus USA and in Europe will be published by NIS America. Added CHUNITHM PLUS, the next version of SEGA's latest music arcade game, CHUNITHM, with the addition (currently) of 6 new songs. Added Shin Megami Tensei x Fire Emblem for WiiU in Atlus section. According to Gematsu, Nintendo has announced that the game will launch for Wii U in North America and Europe in 2016. Japanese version has been released in December 26, 2015. Added Luminous Arc Infinity Complete Pack in Atlus Legacy section. According to Gematsu, It will have “Scenario Pack” product code as bonus including all four Scenario Packs and all three Scenario DX Packs (all copies). 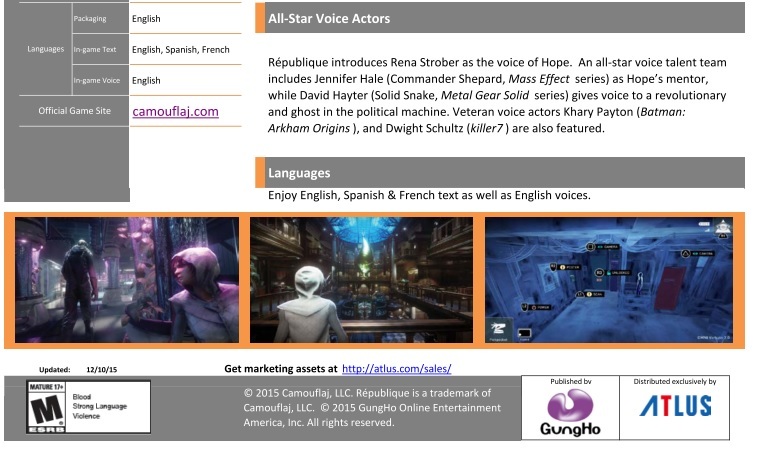 I'm pretty sure that ' Republique' game in the Atlus section isn't related to Atlus, they aren't publisher or developer. My bad, found the game on the Atlus official site, thinking it was published by Atlus. Turn out what's written is "distributed exclusively by Atlus". Edit the release date for US version of Mario & Sonic at the Rio 2016 Olympic Games for 3DS. The game is set to release on March 18th. Barry I have a suggestion..
Maybe consider adding these for the SEGA legacy releases. Other than the ones you already added I can't really think of any others. Thanks for the suggestions! Stuff from former developers that continue the legacy of IPs I totally think belong, like Ed's project, but I'm iffy on including games from devs who are simply fans. I agree, I think SEGA's Legacy should be limited on "connected to the SEGA's IPs (or used to be their IPs)", not "inspired by SEGA's IPs", or "made by the guy who used to be in SEGA", because I believe there are so many of them, especially for mobile. 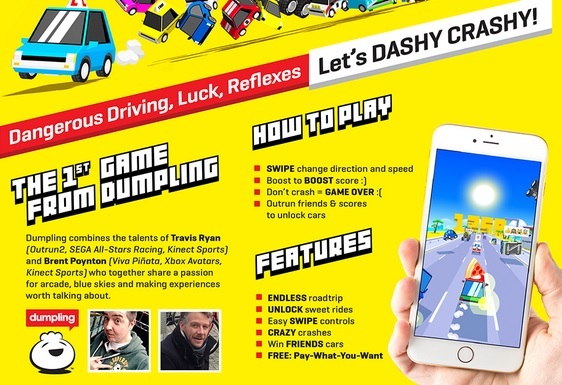 One of them is Dashy Crashy, made by Travis Ryan (Outrun 2, Sega All-Stars Racing). Personally I love the game, and I'm hype for Drift Stage and Slipstream too, but still I don't think they are connected to SEGA's Legacy. But with my description, it will means Yuji Naka's Rodea The Sky Soldier would not be included too, so I open to another description about what SEGA's Legacy is. I'm waiting for other's opinion. About Ed's project expected to be reintroduced soon, is there any link of it? I tried googling it but couldn't find any. The closest I got is Sound Wave, a tribute album for Ecco. Maybe another category for sega inspired games to look out for? The World End Eclipse has already started its service, both for the PC and mobile versions. The mobile one started about two or three months ago, and the PC version, about a month ago. I don't know if they'll release a physical package, but the game is already out.